Premieres on Thursday, January 3 at 10pm ET and Thursday, January 10 at 10pm ET – Acclaimed director, author and BAFTA winning actor Richard Ayoade explores Barcelona with Kathy Burke, Istanbul with comedian Adam Hills, Iceland with actress Jessica Hynes, and goes to Marrakech with actor Stephen Mangan. While he’s there, he’ll be challenging himself to see and do as much as possible, and subjecting so-called tourist attractions to his ruthless scrutiny. Ovation will air two 30-minute long episodes each Thursday night over two weeks. 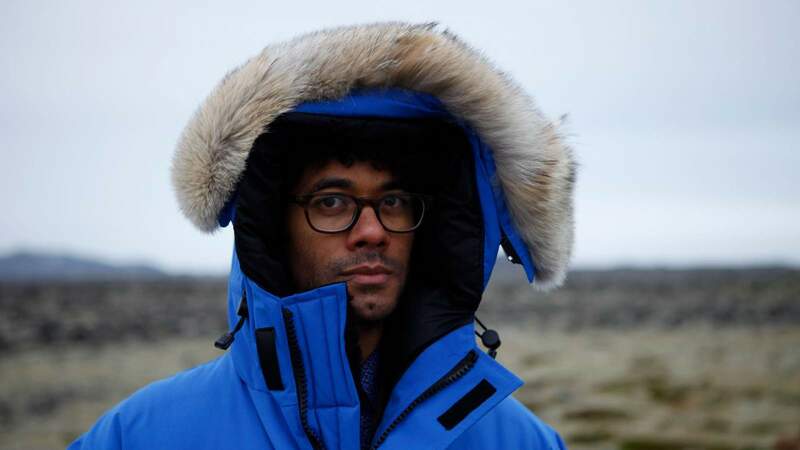 Currently available on Ovation’s travel AVOD service JOURNY – Richard Ayoade travels to Vienna with actor Chris O’Dowd, Paris with Great British Bake Off star Mel Giedroyc, Copenhagen with Noel Fielding, and Moscow with comedian Greg Davies. Premieres on Thursday, January 24 at 10pm ET and Thursday, January 31 at 10pm ET – Richard Ayoade travels to Seville with actor-comedian Rob Delaney, Venice with comedian Jo Brand, Dubai with comedian Johnny Vegas, and goes to Berlin with actor-comedian Roisin Conaty. Ovation will air two 30-minute long episodes each Thursday night over two weeks. Currently available on Ovation’s travel AVOD service JOURNY – Richard Ayoade travels to New York with comedian Katherine Ryan, Helsinki with actor Paul Rudd, Lisbon with comedian Adam Buxton, Naples with actor Jack Dee, and Florence with actor Rebel Wilson. Premieres on Saturday, January 26 at 10pm ET – In this original Ovation special, host Chelsea Cannell takes what can only be described as a dream trip through France to explore its luxury and rich history from Paris to Avignon to the French Riviera. From past to modern day, no one does decadence quite like the French. Cannell meets up with bloggers along the way, who show her the best of the best, from billion dollar palaces to Picasso’s haunts. Premieres on Saturday, February 2 at 10pm ET – Host Chelsea Cannell’s pilgrimage from Paris to Avignon to the French Riviera in this original Ovation special concludes. 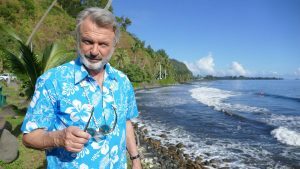 Premieres on Thursday, February 14 at 10pm ET – A sweeping six-part documentary series featuring award-winning, internationally renowned actor Sam Neill as he retraces Captain Cook’s voyage across the largest ocean in the world. Ovation will air two one-hour long episodes every Thursday night over three weeks. Ovation’s joyful examination of “The Art of Film” returns Friday, January 18 at 7pm ET. With highly curated monthly themes, Ovation celebrates the Hollywood classics that elevated the art form from movies to cinema, and chronicles the films that continue to inspire new generations of filmmakers and talent. January and February celebrate Oscar winners. Future monthly themes include the films of Sidney Poitier, Alfred Hitchcock, Audrey Hepburn, Robert Redford, actor Steve McQueen, and Agatha Christie, as well as movie musicals, westerns, and more. All episodes will be also be available on demand and the Ovation NOW App. The Red Carpet Cinema films will be available to stream live on the Ovation NOW App.